The limitless applications of 3D data visualization will enable a more efficient approach to many of life's problems. Each day, developers exploring this technology are finding new ways to solve these problems in mixed reality; 3D modeling, easier house management, spinal surgery, and forest fire management are just a few recent examples of ways 3D data visualization can benefit us all. The military, on the other hand, has quite a different set of problems to manage. From a logistics standpoint, there are a lot of moving parts in the military to consider such as personnel, deployment, training, resources, and supply lines, to name just a few things that have to be managed constantly. Here we are talking big-picture ideas that could utilize 3D data visualization from a top-down view. If we scale down to real-time operations for individual missions, there's recon, intel, tracking, and response, and this list could keep going. Some of these overly complex moving parts are now being explored in the augmented and mixed reality space of the Microsoft HoloLens—with a much larger budget. Here I would propose that the HoloLens development community goes out and does an amazing job creating new ways to work, learn, and be entertained. Maybe then the world will be happy and military conflict will go the way of the dodo? Probably not. Idealism aside, with the right application, the types of conflicts that make the military necessary could be handled far more efficiently. This could result in overall lower casualty rates—especially civilian—better objective completion ratios, and overall less money being spent in the process of completing these tasks. The Defence Science and Technology Group, which is part of the Australian Department of Defence, in conjunction with Saab Australia, put together a significant demonstration on October 25, 2016, in Canberra, the capital city of Australia. 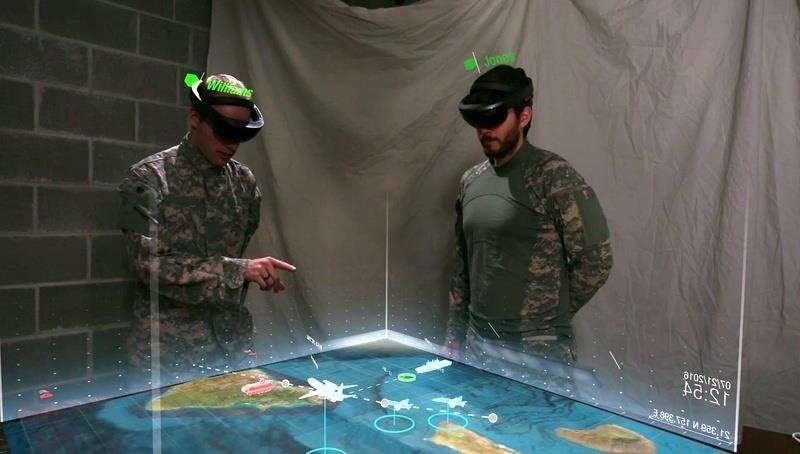 This presentation, for the Royal Australian Air Force (RAAF) and Department of Defence top brass, used the HoloLens to present 3D visualization simulations. In case your are confused, we here in the United States know of Saab as an automotive manufacturer, but abroad they are better known as a personal security and military service provider. Immediately after the presentation, Kevin McDonald, DST Group scientist, talked about how augmented reality could change the way defensive actions are handled. Augmented reality technology is evolving and this demonstration aims to increase awareness and interest in how ARV can be adapted and used for future Defence applications – either for planning or training. Specifically, the scenario and simulations explored today show the utility this technology can have on our decision-making models and behavior in certain situations, and how they can shape and aid our responses to threats. 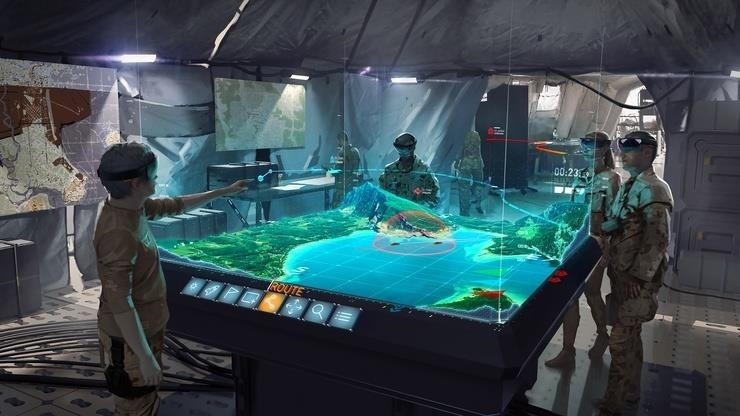 Our Training and Simulation team see the huge potential for Microsoft Hololens and are already working on a range of civil and military applications in training, simulation and education. Mixed Reality technology is truly ground breaking and will revolutionise the way we train, educate and operate across the whole of society. The name that has been assigned to this proposed technological overhaul—or part of the Royal Australia Air Force's transition to a 5th generation fighting force—is Project Jericho Dawn / Plan Jericho. This would be the largest technological upgrade in the Australian Air Force's history. This appears to be one of many initiatives the RAAF has in the works to upgrade their "to fight and win in the information age." Will the new model army become Call of Duty? Why can't we all just get along? Let us know in the comments.